A judge ordered Friday that El Hadji Alpha Madiou Toure, the alleged murderer of a Corcoran School of the Arts and Design employee, be taken from a psychiatric hospital back to jail. A judge decided Friday that the man accused of killing a Corcoran School of the Arts and Design employee is mentally competent to stand trial. The decision means a jury can now decide whether El Hadji Alpha Madiou Toure, 28, is guilty of fatally stabbing Corcoran project assistant Corrina Mehiel last March. Court records show it took months to reach a definitive conclusion on Toure’s mental fitness and after being originally found incompetent to stand trial, he wasn’t immediately taken to a mental facility, despite a judge’s order. Judge Lynn Leibovitz ordered Toure be taken from a psychiatric hospital back to jail following Friday’s hearing. The defense may contest the competency finding at the next scheduled hearing Sept. 11. Toure’s attorney, Jacqueline Cadman, declined to comment. Bill Miller, a spokesman for the U.S. Attorney’s office, which is prosecuting the case, declined to comment, citing a policy not to comment on pending litigation. Toure was arrested March 27 and charged with first-degree murder in connection with the slaying of Mehiel. Mehiel, 34, was found bound and fatally stabbed in her 14th Street apartment March 21. Police Chief Peter Newsham said in March that police could not find a strong motive for the crime and did not believe that Toure knew Mehiel, the Washington Post reported. The day after the murder, Toure took Mehiel’s Toyota Prius, made stops at several ATMs in Maryland and D.C. to withdraw money with her bank card and put a down payment on a Ford Taurus, according to an arrest affidavit cited by The Post. Security footage also showed the suspect standing outside Mehiel’s apartment and driving her car the day after her death, according to The Post. In July, Toure’s attorneys requested a screening for competency. 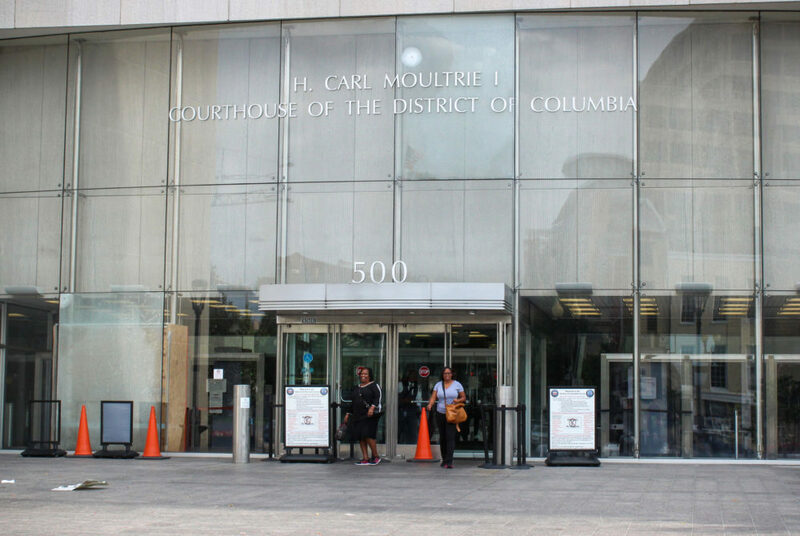 Teresa Grant, a clinical psychologist with the D.C. Department of Behavioral Health, conducted a screening and was unable to determine Toure’s competency to stand trial, according to court documents. On Aug. 3, Grant sent a letter informing the court that after a full competency evaluation of Toure, he was not mentally fit to stand trial. “Toure has not had the benefit of psychiatric treatment at the detention center. There is a substantial probability the defendant can sustain competency in the foreseeable future,” Grant wrote in the letter, recommending that he be admitted to St. Elizabeths Hospital. On Aug. 4, a judge ordered Toure be taken to St. Elizabeths Hospital, D.C.’s public psychiatric facility in Southeast D.C. But it took more than a week for him to be transported to the hospital, during which time he received no medical treatment, according to Leibovitz’s Aug. 9 order. Five days later, the defense counsel told the court that Toure was still in jail. Leibovitz then called for a hearing Aug. 11, demanding answers from the Department of Behavioral Health and the Department of Corrections on “why Toure was not transferred or begun treatment to restore competency,” according to court documents. Toure was transferred to the facility the day of the second hearing, Phyllis Jones, the public information officer for the DBH, said in an interview. Jones said Toure was most likely not immediately admitted to the hospital because of a lack of bed space. She said the general wait time is about a week. Keena Blackmon, the public information officers for the corrections department, said the court tells the DBH and DOC when an inmate needs an evaluation and the departments transfer an inmate when space is open. The facility has 292 beds, according to U.S. News, but it is unclear if any spots are set reserved for individuals in the court system. The imprisoned person then goes to either the Mental Health Unit or the Women’s Mental Health Unit at DOC until the individual is able to receive treatment, Blackmon said. She said she didn’t know if Toure was taken to the Mental Health Unit while he awaited transport to the hospital. Leibovitz ordered on Friday that St. Elizabeths Hospital tell corrections officials the medications Toure’s is taking so that he continues to receive identical treatment while in jail to ensure he remains competent and avoids having to be readmitted to the hospital. “Whatever happens, he better not be released, and I’m going to do a medical alert,” Leibovitz said at the hearing, referring to a document detailing prisoners’ medical information provided to the court, U.S. Marshal Service, DOC and defense counsel. This article appeared in the September 5, 2017 issue of the Hatchet.